Maneuvering through everyday life in an honest fashion is nearly impossible, and quite honestly, not very fun. For most of us, our lives are fairly boring and mundane so naturally, we feel the need to lie about our lifestyle. 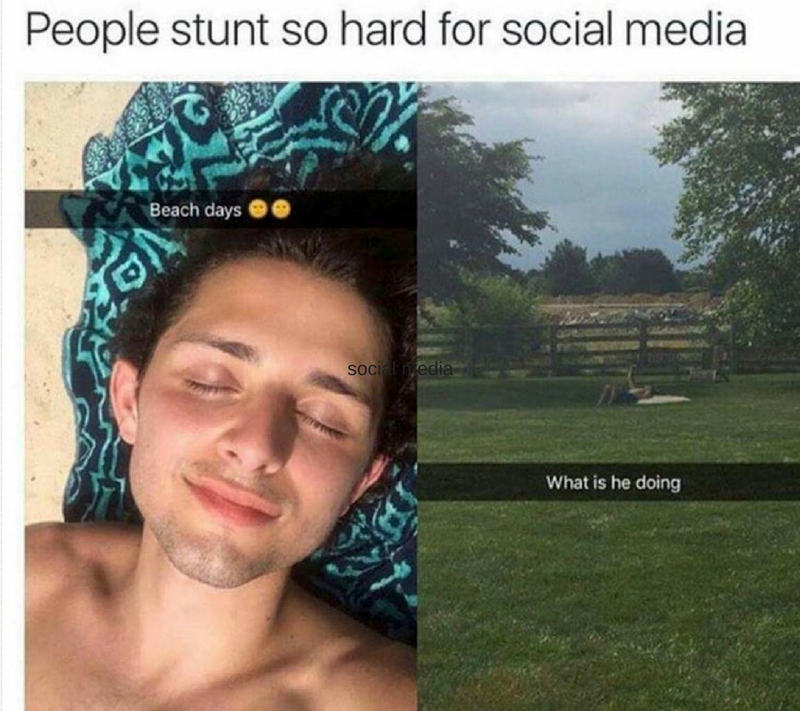 Social media has made that deception way too easy. The famous quote “fake it ’til you make it” is even more relevant because of platforms like Facebook and Instagram. It’s always hilarious when people get caught in this lifestyle lie, and it’s even better when it’s published all over social media for us to see. Why Have An 8-Pack When You Can Have A Keg? 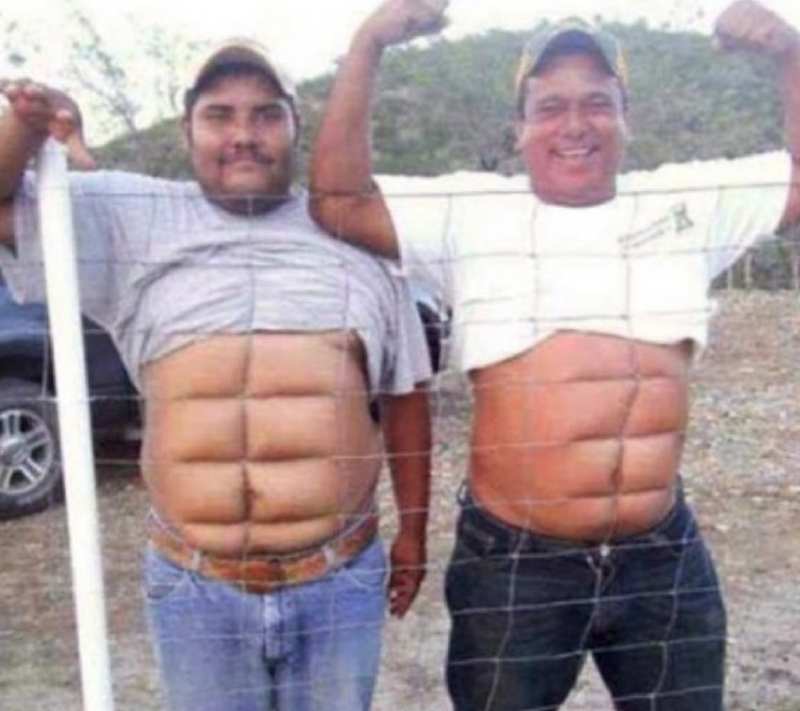 Can we get it out there that having abs is not worth the sacrifices you have to make? Is being miserable and healthy more tempting than happy and unhealthy? 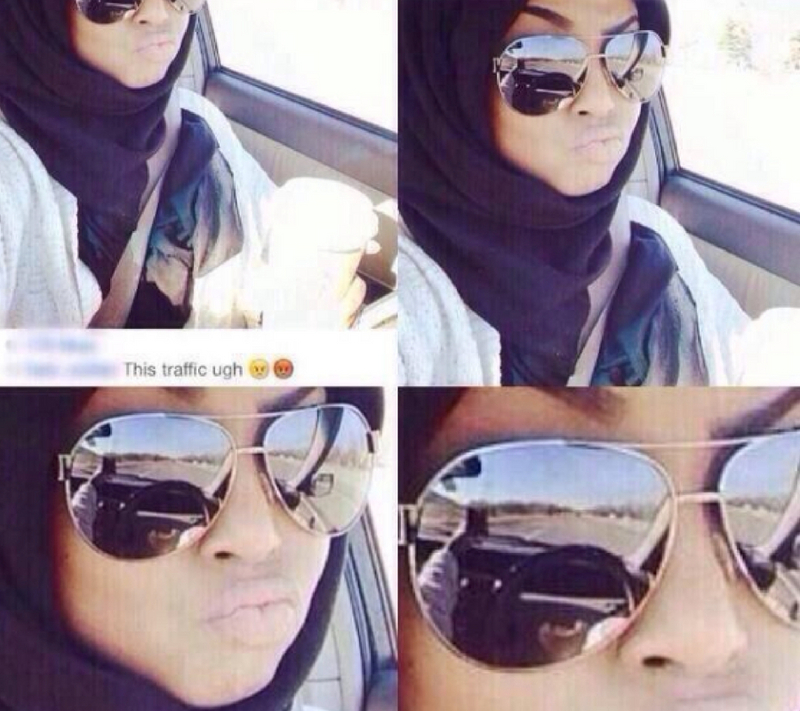 Let’s be honest, the “traffic held me up” excuse is a classic. It’s almost fool-proof because no one can call you on it. If they do, BOOM, pretend an accident happened in front of you. The only way you can get called out is if you let your guard down and post something like this to social media. The power of dreaming and fantasizing is very real. If you think you’re on a beach, you’re on a beach — simple as that. It’s all about imagination. This guy doesn’t want to come to the realization he’s in a backyard, covered in ants and on top of a file of dirt and we don’t blame him. Coming up, a girl tries to pretend she has a love life but the mirror hilariously tells us otherwise. This statement came after they didn’t let her get the 2018 Wal Mart Yodel Kid Barbie Doll. 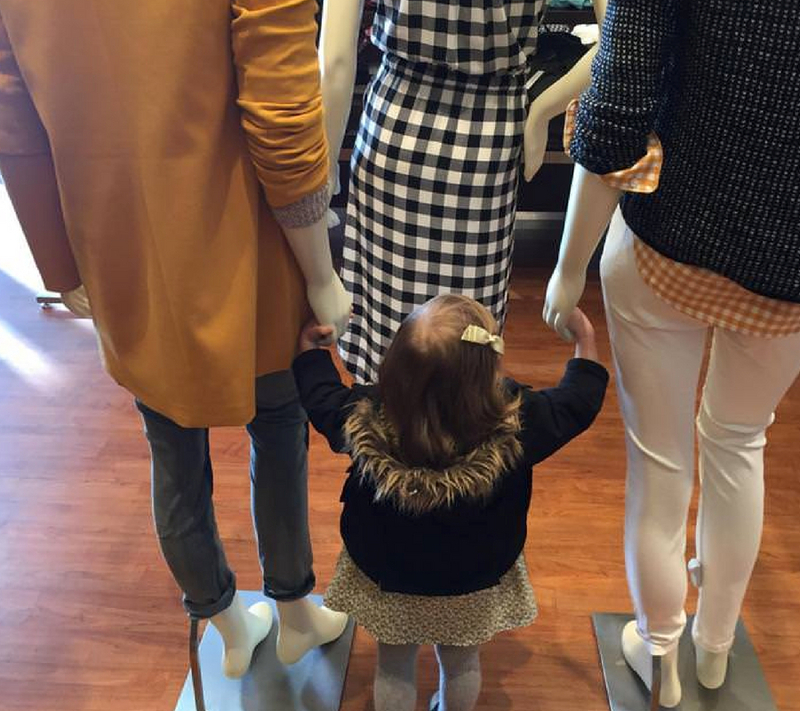 So, this little girl went and found parents who will support her consumption habits. 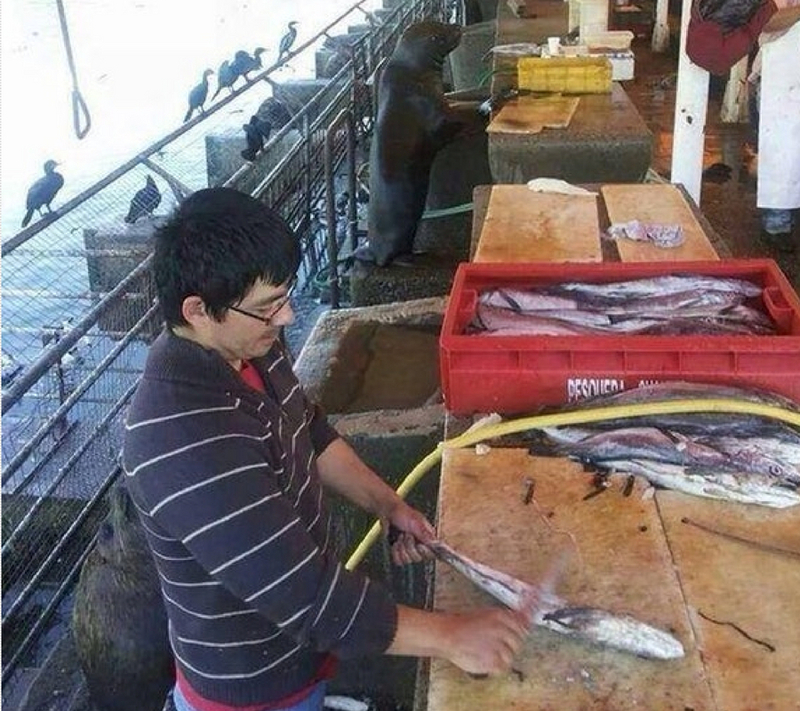 This seal is a double agent. It’s seamlessly infiltrated this butcher shop to see what’s really going down on land. If this flubbery friend has to take a few lives to get valuable information, then that’s what it has to do. Perhaps we could use a few of these talents in the FBI or CIA. Social media is an amazing tool for making your ex jealous. Even if your love life is very poor, you can make it look desirable and remind them what they are missing. But you’re walking a fine line since you’re lying. 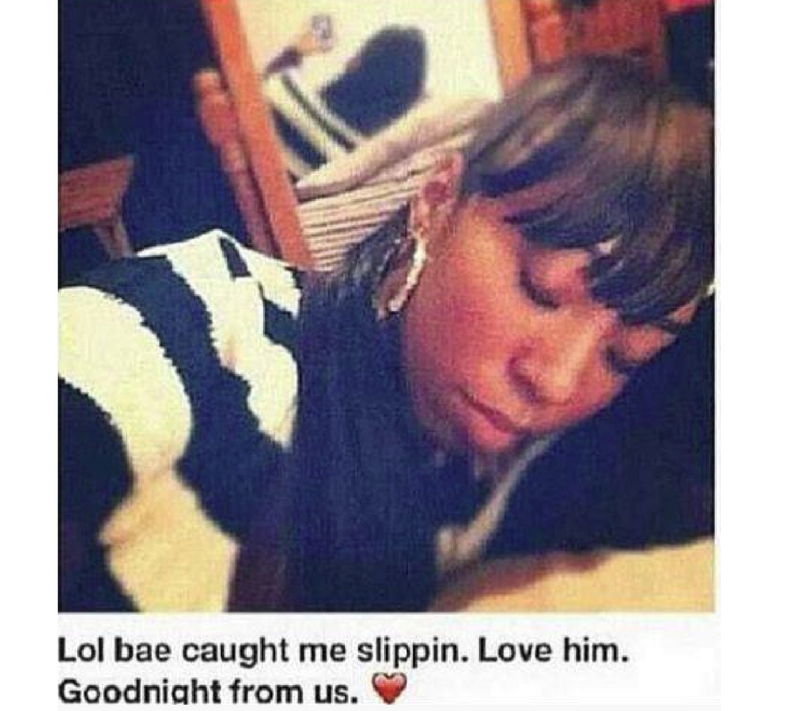 The first rule of posting fake cuddle selfies is to make sure there are NO mirrors around. The result? This picture. 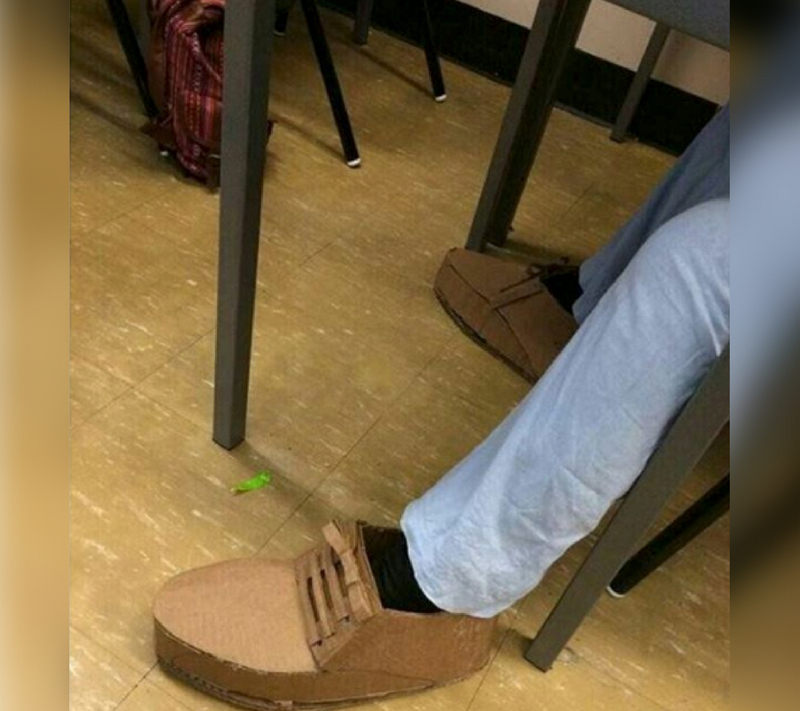 Don’t have the money to buy real Yeezys? Just ahead is someone who got the next best thing. What is it with rich people and showing off their Diggs? Look, we get it. You have six cars, an infinity pool, endless Starbucks fraps, etc. You don’t see me posting about my 2006 Chrysler Neon, small Dunkin Donuts coffee, and blow-up pool. Everyone needs to eat some humble pie. There are very few jobs available out there right now, so you do what you have to do to be employed. 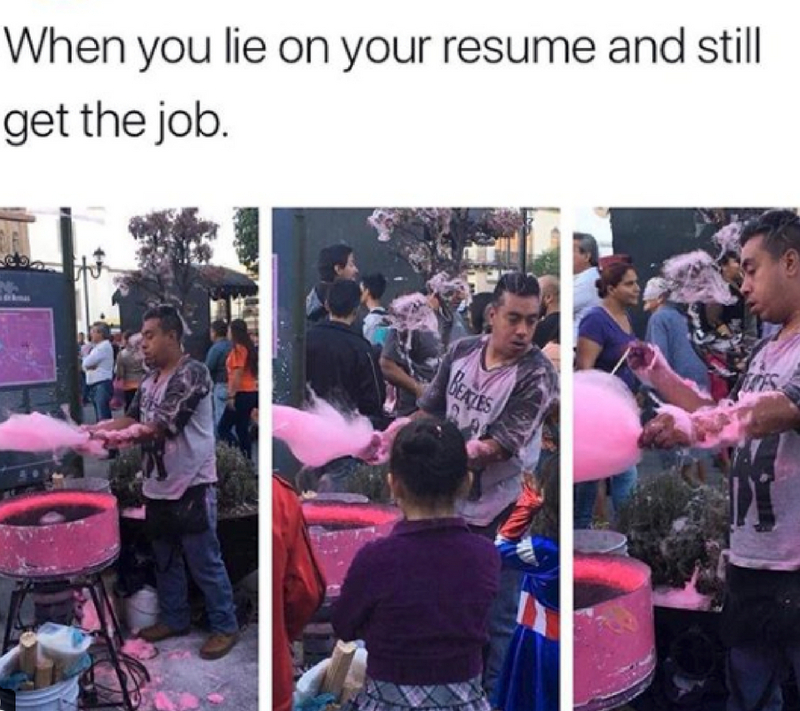 If you’re applying to be the cotton candy man, your resume HAS to say that you’re the heir to the person who first created cotton candy. If you have to go as far as to legally change your name to “Kotton Candie” just to show dedication, then you do that. Want to know what’s scary? If a celebrity like Kanye West were to endorse these shoes, they would become the next big thing since Furbies in the ’90s. Millenials will latch on to anything weird and make it a trend. These Cardboard Cut 6.0s will sell for $500 PLUS shipping. I’m telling you, watch for these. If the two men in the mugshots coming up soon walk into your bank, will you a) laugh or b) laugh. You don’t know desperate measures until you see your ex out in public with their new girlfriend or boyfriend. The lengths that you’ll go to hide or not be seen are absolutely endless. 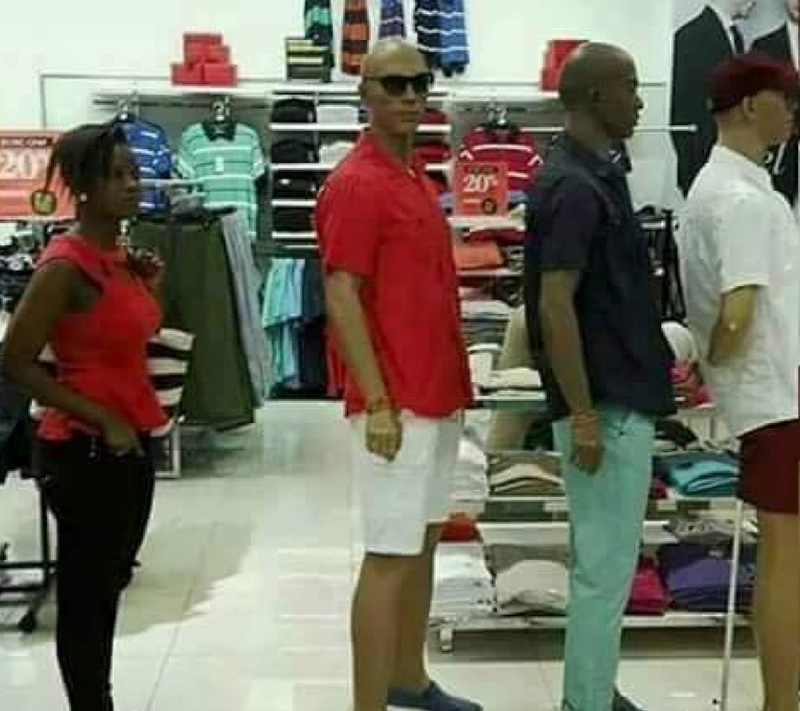 This girl just went full glacier-mode and went completely frozen to blend in with her new mannequin family. When we’re young and ignorant, we think we have the ability to be professional athletes if we try hard enough. The reality is, that’s not true at all. Some people are born with legs that act like trampolines for dunking basketballs, while others are genetically blessed with scorching speed for soccer. 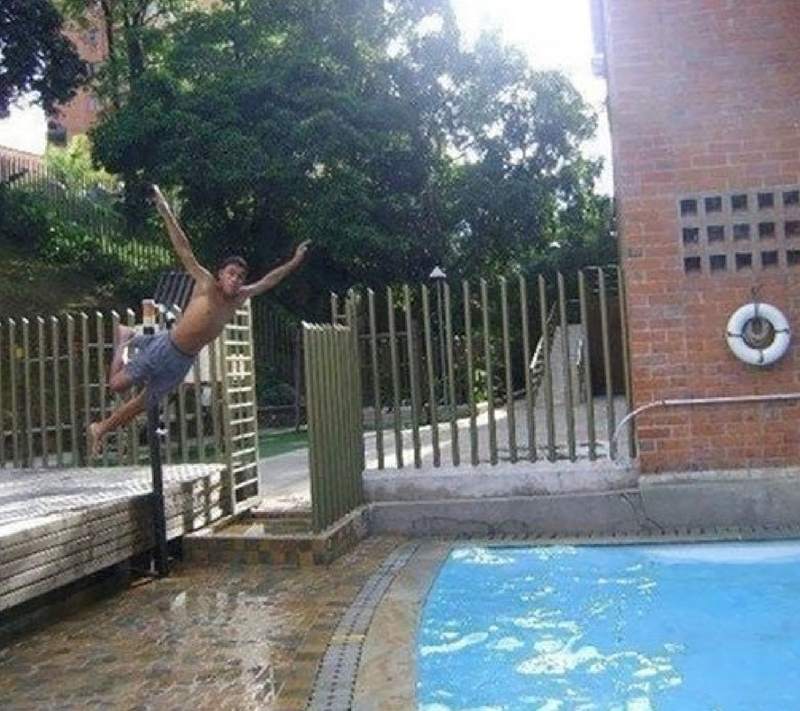 This kid missed the athlete genes in his family, I think. If you’re amateurs at robbing banks, it’s important to do some research. Common thief etiquette states that poorly drawn permanent marker Batman faces won’t hide your identity. 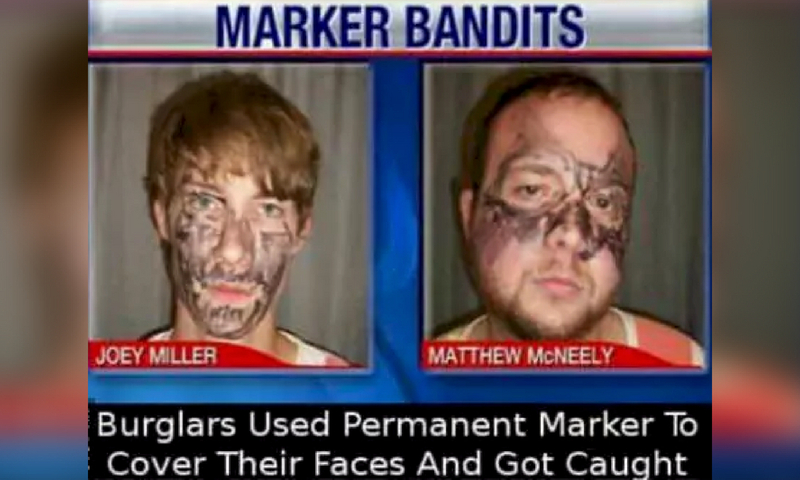 It’s a good attempt, but it probably would’ve cost you less to go out and buy a ski mask than it did to attempt these, uh, identity concealers. This picture just ahead will prove that every young person’s life is a lie. This is what high school is like for many people. 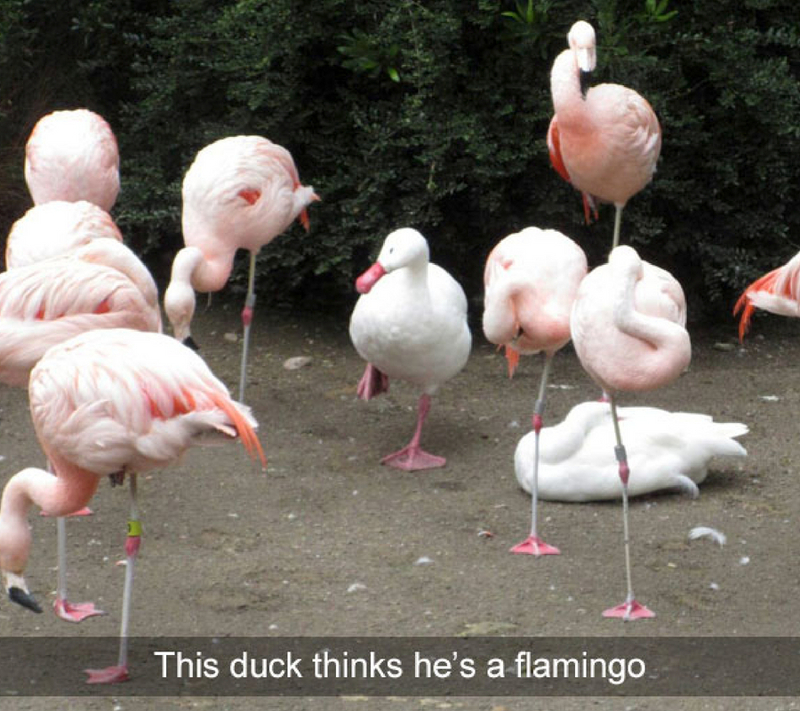 Trying to fit into crowds that you don’t fit into, and it’s obvious. While hanging out with the varsity volleyball team may be fun, the fact that you’re 5’2 on a good day makes you stand out really badly. Go duckie go! Is there anything more humiliating than waking up from a night out and reading your drunk texts? When you ask a guy you met once if he’s awake at 4 a.m. when you already know he has a girlfriend, it’s bound to get awkward. 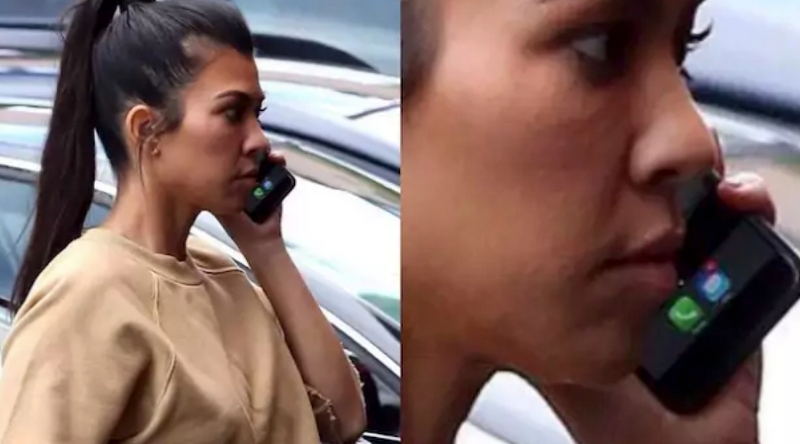 The classic fake talking on the phone while walking in public is a great way to evade any conversation face to face with the person you humiliated yourself with. We all have a little bit of adventure-envy in us. 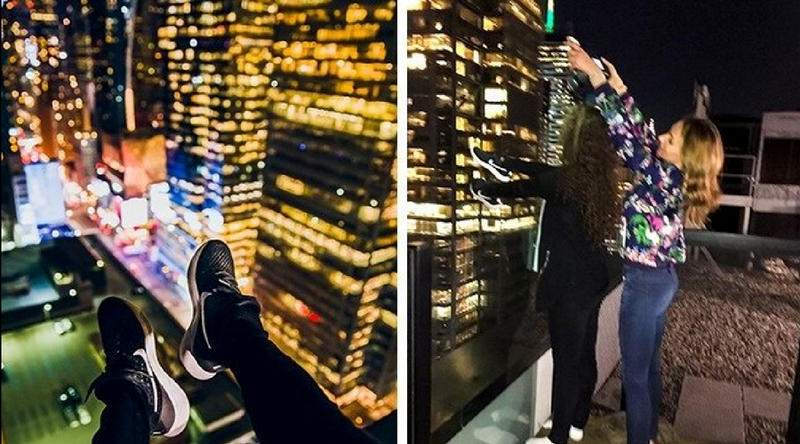 We see people doing crazy things on the internet and TV like climbing mountains and deep sea diving, but the thought of actually doing it is terrifying. But, what if you could pretend to be a badass without actually being one? 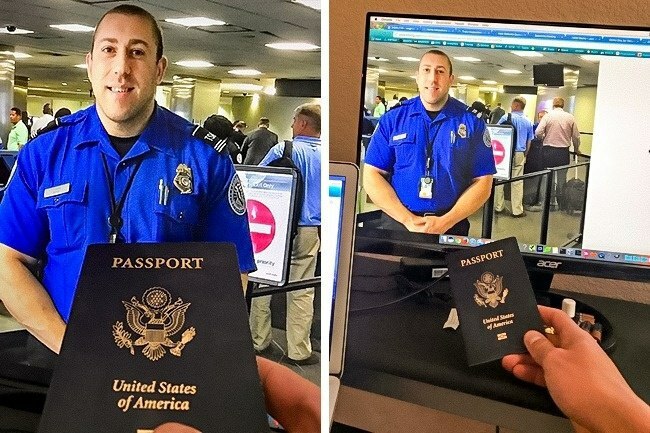 This is a perfect example of some brave souls deceiving the world one picture at a time. 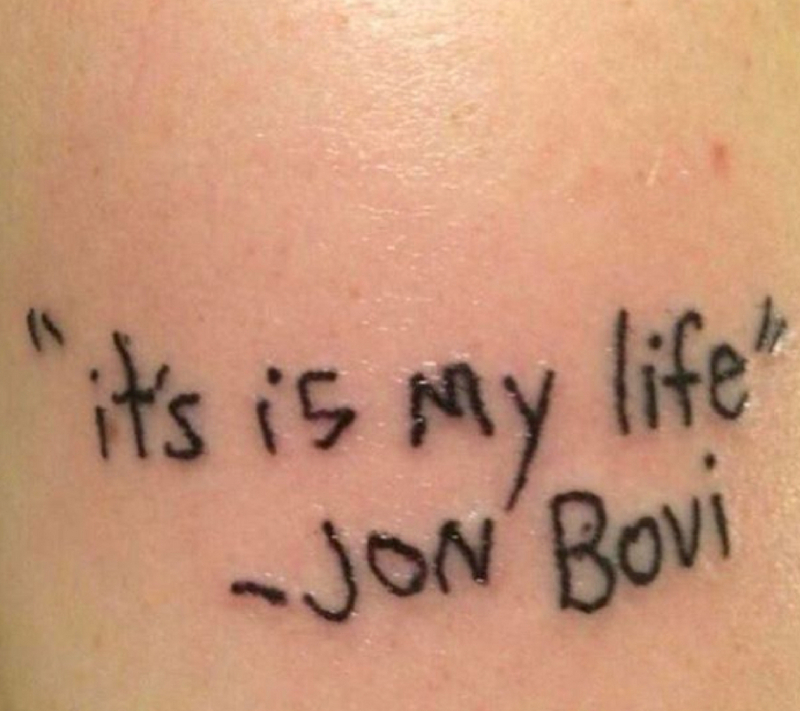 It’s hard to fake being a tattoo artist, but this person coming up did a GREAT job. When you’re at the bar and lie about your job, your money, and your car just to impress a girl, it’s a slippery slope. 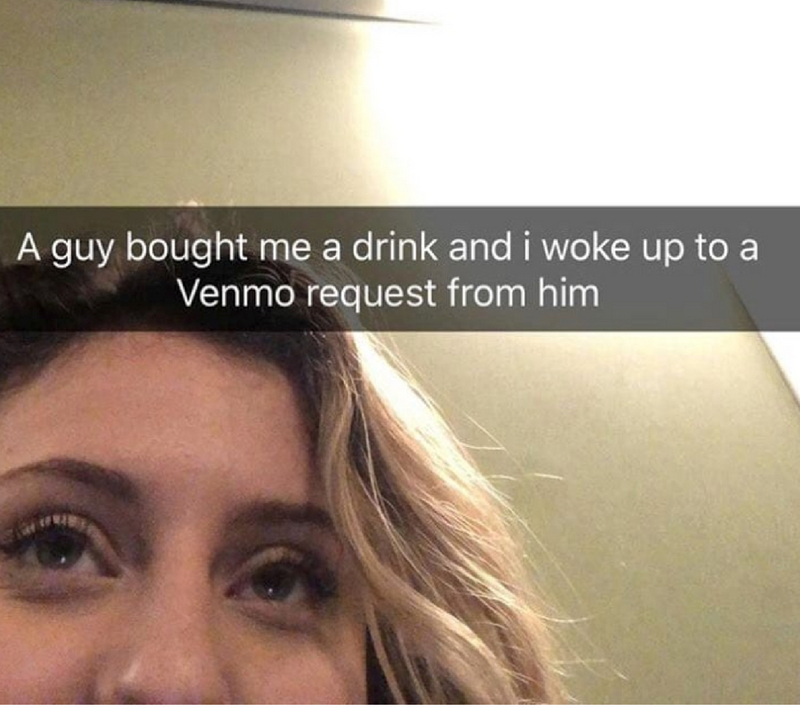 Drunk confidence takes over, and you buy her one drink to no avail. You wake up in the morning and realize what you’ve done. You need that ten bucks, so you do what you have to do and ask for it back. It’s science. Being in college and struggling with finding ways to eat when you have thousands of dollars of debt is one-of-a-kind. 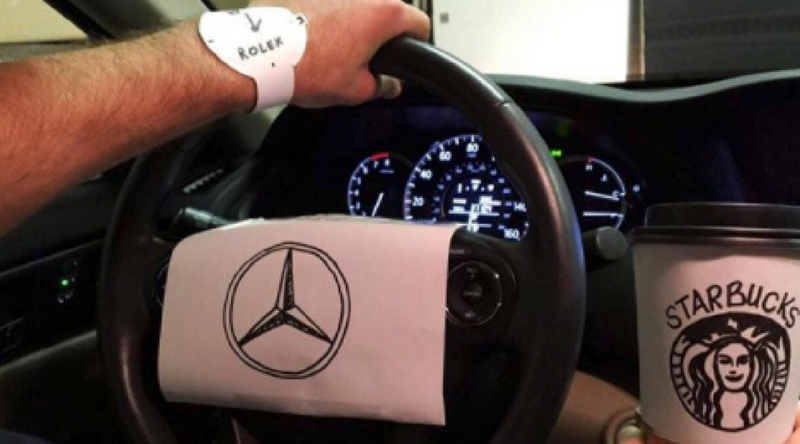 The creativity has to start flowing, and in this case, it absolutely did. Resource management is the most important skill to learn. 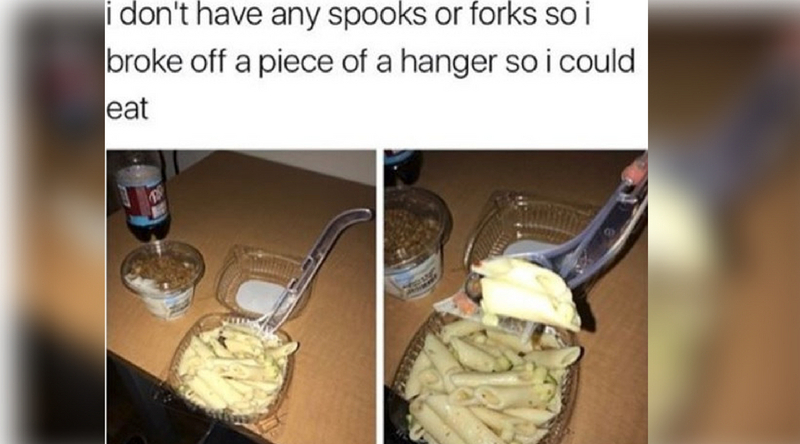 Who knew that excess clothes hangers = cutlery for years. It’s a double whammy when they can’t draw or spell. I’ve never heard this Jon Bovi song, but I’m sure it’s a hit. One aspect of life that’s really hard to fake is cooking. You can talk a big game, but if your taco beef tastes like raw sewage, your credibility is shot. 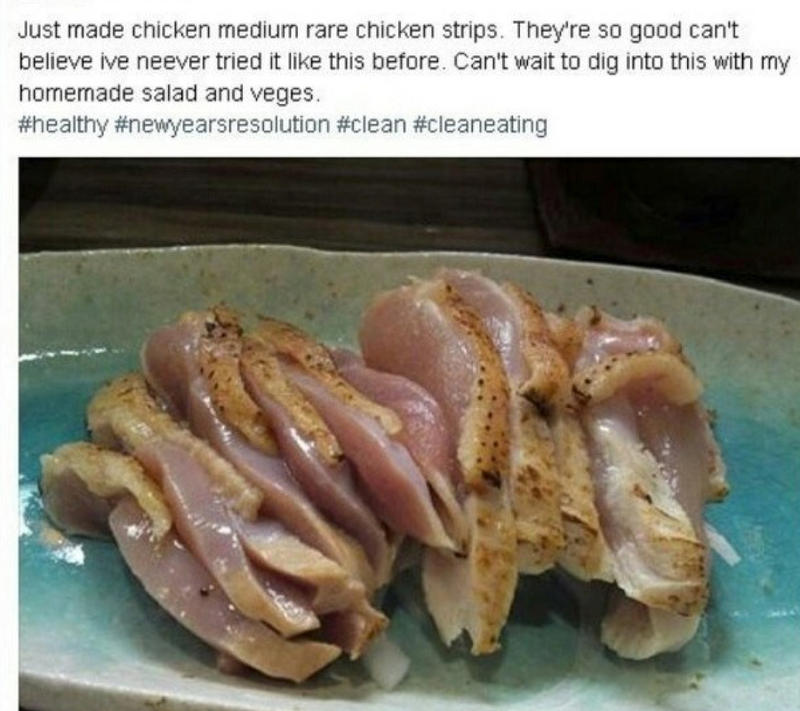 This girl is about to find out the hard way that chicken needs to be cooked more than 30 seconds in the microwave. Let’s hope her family members evacuated the house in time. Can we talk about how expensive it is to travel outside of the country? How do people have the disposable income to fly when it costs like $600 to go to Mexico one way? It’s with wishful thinking and a major lottery win that will eventually allow me to take my dream vacation, hopefully.